You never saw Him, and yet believe in Him with sublime and inexpressible joy - a joy which many desire to experience. You are assured that you have been saved by a gratuitous gift, not by our actions -no, but by the will of God through Jesus Christ. 13 and on the sabbath day we went outside the gate to the riverside, where we supposed there was a place of prayer; and we sat down and spoke to the women who had come together. 14 One who heard us was a woman named Lydia, from the city of Thyati'ra, a seller of purple goods, who was a worshiper of God. The Lord opened her heart to give heed to what was said by Paul. 15 And when she was baptized, with her household, she besought us, saying, "If you have judged me to be faithful to the Lord, come to my house and stay." And she prevailed upon us. 27 and you also are witnesses, because you have been with me from the beginning. 1 "I have said all this to you to keep you from falling away. 2 They will put you out of the synagogues; indeed, the hour is coming when whoever kills you will think he is offering service to God. 3 And they will do this because they have not known the Father, nor me. 4 But I have said these things to you, that when their hour comes you may remember that I told you of them. "I did not say these things to you from the beginning, because I was with you. He who fights even the smallest distractions faithfully when he says even the very smallest prayer, will also be faithful in great things. It was he who died for our sins to give us eternal life. This same man, Christ, is God and abides for ever and ever. Whoever believes in Him will have eternal life; whoever denies Him will have eternal punishment. Baptism gives us the grace of new birth in God the Father, through his Son, in the Holy Spirit. For those who bear God's Spirit are led to the Word, that is, to the Son, and the Son presents them to the Father, and the Father confers incorruptibility on them. And it is impossible to see God's Son without the Spirit, and no one can approach the Father without the Son, for the knowledge of the Father is the Son, and the knowledge of God's Son is obtained through the Holy Spirit. There is a perfect Trinity, in glory and eternity and sovereignty, neither divided nor estranged. Wherefore there is nothing either created or in servitude in the Trinity; nor anything superinduced, as if at some former period it was non-existent, and at some later period it was introduced. And thus neither was the Son ever wanting to the Father, nor the Spirit to the Son; but without variation and without change, the same Trinity abideth ever. 16 for it had not yet fallen on any of them, but they had only been baptized in the name of the Lord Jesus. 17 Then they laid their hands on them and they received the Holy Spirit. 20 Blessed be God, because he has not rejected my prayer or removed his steadfast love from me! 16 and keep your conscience clear, so that, when you are abused, those who revile your good behavior in Christ may be put to shame. 17 For it is better to suffer for doing right, if that should be God's will, than for doing wrong. 15 "If you love me, you will keep my commandments. 17 even the Spirit of truth, whom the world cannot receive, because it neither sees him nor knows him; you know him, for he dwells with you, and will be in you. 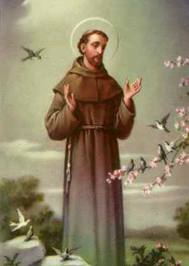 Saint Francis of Assisi (1182-1226) was born into a wealthy family at Assisi, Italy, the son of a cloth merchant. Francis received little formal education and during his youth was mostly preoccupied with having fun. As a young man, he was popular, charming, enjoyed practical jokes and was usually the life of the party. Because of his wealth, he generally picked up the tab and thus attracted a following of fun loving, rowdy young men and promiscuous women. When armed conflict broke out between the men of Assisi and a neighboring city in 1202, Francis eagerly volunteered for the cavalry but wound up getting captured after the first big battle and spent a year in captivity. Francis returned to Assisi hailed as a hero, but unknown to his friends he had undergone a transformation in his outlook during his captivity. Although he was once again the life of the party, he was now questioning his reason for existence. After much contemplation, including vivid dreams and mystic visions, he turned away from the pursuit of all worldly pleasures, sold all of his property and donated the money to the Church. He then began a lifelong passion of caring for society's castoffs, the sick and poor, including lepers. His wealthy father reacted to his son's odd new lifestyle by disinheriting him. Thus Francis lived in utter poverty and even went without shoes. But his humbleness, extraordinary kindness and love for humanity attracted the attention of other young men and they also chose to give up worldly pleasures and follow him to spread the gospel and serve the poor. Eventually, as the brotherhood grew, its members traveled to other parts of Europe to preach, including France, Germany, Spain and England. A separate order for women was formed, now known as the Franciscan Nuns or Poor Clares. Francis had much love for animals with special fondness for the birds. He liked to refer to animals as his brothers and sisters. Legend has it that wild animals had no fear of Francis and even came to him seeking refuge from harm. In 1224, Francis went up onto a mountain and began a 40-day fast. During that time he is said to have had a miraculous vision and received the marks of the nails and spear exactly as they appeared on the body of Jesus during his crucifixion. After his death in 1226, Francis was declared a saint by Pope Gregory IX. For several centuries thereafter, his Franciscan order experienced continuous growth and is still active today caring for the poor, educating youth, and performing many other good deeds. All who love the Lord with their whole heart, their whole soul and mind, and with their strength, (Mt. 12.-30) and love their neighbor as themselves, (Mt. 22.-39) and who despise the tendency in their humanity to sin, receive the Body and Blood of our Lord Jesus Christ and bring forth from within themselves fruits worthy of true penance. How happy and blessed are these men and women when they do these things, and persevere in doing them because "the Spirit of the Lord will rest upon them," (Is. 11:12) and the Lord will make "His home and dwelling place (Jn. 14.-23) with them." They are the children of the Heavenly Father (Mt. 5:45) whose works they do. 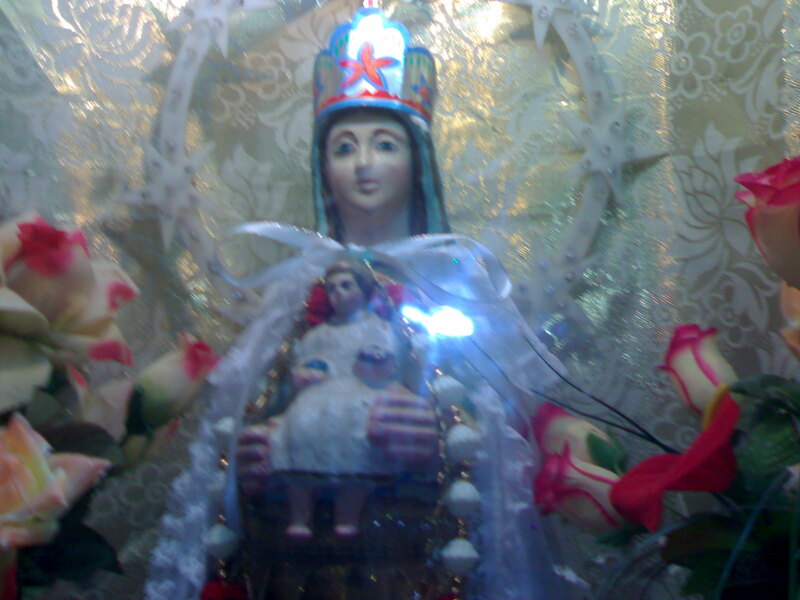 They are the spouses, brothers and mothers of Our Lord Jesus Christ (Mt. 12:50). We are his spouses when the faithful soul is united by the Holy Spirit with Our Lord Jesus Christ. We are brothers when we do the will of the Father who is in Heaven (Mt. 12:50). 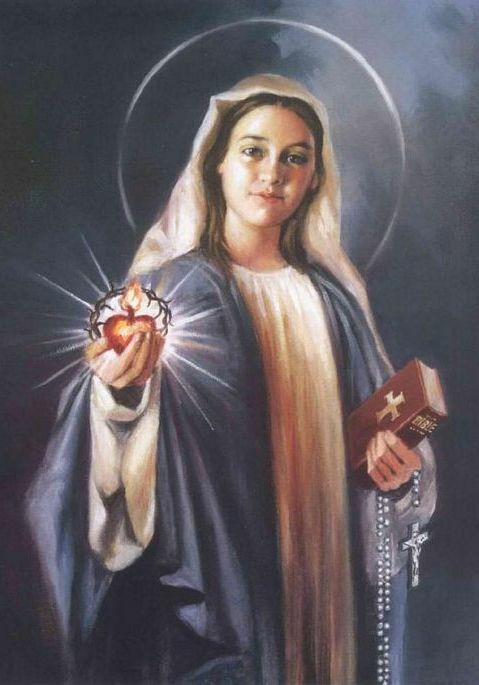 We are mothers when we bear Him in our hearts and bodies (I Cor 6:20) with divine love and with pure and sincere consciences; and we give birth to him through a holy life which should enlighten others because of our example (Mt. 5:16). 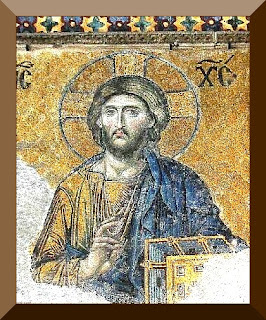 How glorious it is to have so holy and great a Father in Heaven; and to have such a beautiful and admirable Spouse, the Holy Paraclete; and to have a Brother and Son, so holy, beloved, blessed, humble, peaceful, sweet, lovable and desirable over all things: Our Lord Jesus Christ who gave up his life for his sheep (Jn. l0:15) and prayed to the Father, saying: Holy Father, keep in your name (Jn. 17:11) those whom you gave me in the world; they are yours and you gave them to me (Jn. 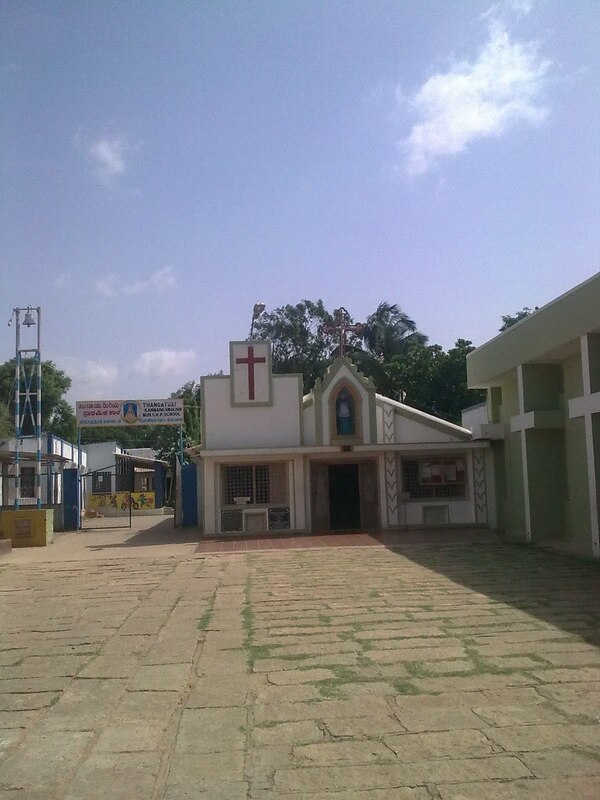 17:6). And the word which you gave me I gave to them, and they accepted it and truly believed that it came forth from you. And they have accepted that you sent me (Jn. 17:8). I pray for them and not for the world (Jn. 17:9). Bless them and sanctify them. I sanctify myself for their sakes, (Jn. 17:19). I do not pray only for these but also for those who, through their word, will believe in me (Jn. 17:20); may they be holy in oneness as we are (Jn. 17:11). Father, I wish that where I am they too may be and that they may see my glory (Jn. 17:24) in your kingdom (Mt. 20-21). As Scripture says, "Those who instruct many in justice will shine as stars for all eternity." They will attain this more easily if they make a covenant of perpetual obedience and strive to cling to Christ and please him alone, because, in his words, "What you did to one of the least of my brethren, you did to me." God will not hear our prayers unless we acknowledge ourselves to be sinners. We do this when we ponder on our own sins alone, and not on those of our neighbor. 8 Now at Lystra there was a man sitting, who could not use his feet; he was a cripple from birth, who had never walked. 10 said in a loud voice, "Stand upright on your feet." And he sprang up and walked. 11 And when the crowds saw what Paul had done, they lifted up their voices, saying in Lycao'nian, "The gods have come down to us in the likeness of men!" 12 Barnabas they called Zeus, and Paul, because he was the chief speaker, they called Hermes. 13 And the priest of Zeus, whose temple was in front of the city, brought oxen and garlands to the gates and wanted to offer sacrifice with the people. 15 "Men, why are you doing this? We also are men, of like nature with you, and bring you good news, that you should turn from these vain things to a living God who made the heaven and the earth and the sea and all that is in them. 17 yet he did not leave himself without witness, for he did good and gave you from heaven rains and fruitful seasons, satisfying your hearts with food and gladness." 18 With these words they scarcely restrained the people from offering sacrifice to them. 1 Not to us, O LORD, not to us, but to thy name give glory, for the sake of thy steadfast love and thy faithfulness! 2 Why should the nations say, "Where is their God?" 3 Our God is in the heavens; he does whatever he pleases. 15 May you be blessed by the LORD, who made heaven and earth! 16 The heavens are the LORD's heavens, but the earth he has given to the sons of men. I turn to you, dear parents, and implore you to imitate the Holy Family of Nazareth. 5 and like living stones be yourselves built into a spiritual house, to be a holy priesthood, to offer spiritual sacrifices acceptable to God through Jesus Christ. 6 For it stands in scripture: "Behold, I am laying in Zion a stone, a cornerstone chosen and precious, and he who believes in him will not be put to shame." 7 To you therefore who believe, he is precious, but for those who do not believe, "The very stone which the builders rejected has become the head of the corner,"
8 and "A stone that will make men stumble, a rock that will make them fall"; for they stumble because they disobey the word, as they were destined to do. 9 But you are a chosen race, a royal priesthood, a holy nation, God's own people, that you may declare the wonderful deeds of him who called you out of darkness into his marvelous light. There are three things, my brethren, by which faith stands firm, devotion remains constant, and virtue endures. They are prayer, fasting and mercy. Prayer knocks at the door, fasting obtains, mercy receives. Prayer, mercy and fasting: these three are one, and they give life to each other. Fasting is the soul of prayer, mercy is the lifeblood of fasting. Let no one try to separate them; they cannot be separated. If you have only one of them or not all together, you have nothing. So if you pray, fast; if you fast, show mercy; if you want your petition to be heard, hear the petition of others. If you do not close your ear to others you open God's ear to yourself. 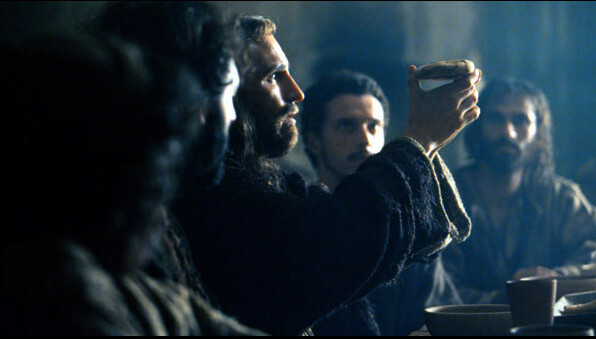 "At the Eucharist Christ feeds our hunger with Himself. immense fullness, body, blood, soul, and divinity. the greatest union on earth. each other in Him. This is our greatest joy on earth. We thirst for love and Love has come to us." 22 The enemy shall not outwit him, the wicked shall not humble him. 25 I will set his hand on the sea and his right hand on the rivers. Let us relieve the poverty of those that beg of us and let us not be over-exact about it. 45 and they sold their possessions and goods and distributed them to all, as any had need. 22 And he said to his disciples, "Therefore I tell you, do not be anxious about your life, what you shall eat, nor about your body, what you shall put on. 25 And which of you by being anxious can add a cubit to his span of life? 27 Consider the lilies, how they grow; they neither toil nor spin; yet I tell you, even Solomon in all his glory was not arrayed like one of these. 28 But if God so clothes the grass which is alive in the field today and tomorrow is thrown into the oven, how much more will he clothe you, O men of little faith! 29 And do not seek what you are to eat and what you are to drink, nor be of anxious mind. 30 For all the nations of the world seek these things; and your Father knows that you need them. 31 Instead, seek his kingdom, and these things shall be yours as well. When anyone reposes all his confidence in God, God continually exercises a special protection over him, and in this state of things he can be assured that no evil will happen to him. Blessed Pope John Paul II from "Draw Near to God"